5 Best Ocean Conservation Organisations. We all know that we play a part in the protection of the world around us. However, in order to drive this forward, we need organisations and charities to be out there leading the way and driving us all forward. There are a variety of conservation organisations out there that are dedicated to protecting our oceans, so to help you to learn more about some of them and their aims, we have put together what we think are 5 of the best. Oceana is a conservation organisation that is dedicated to taking care of and protecting the oceans around the world. They were established in 2001, when a number of different foundations came together in order to commission a study into the amount of money that went to ocean advocacy. It was soon discovered that there was not enough money going to these organisations and therefore, the oceans around the world were not receiving the support that they need to flourish. Out of this came about Oceana, which was deemed to be an international organisation which was only focused on oceans and the creatures that call it their home. One part of the seas in our world that seems to be disappearing at a rather alarming rate are coral reefs. Therefore, it is recognised that we need to do as much as possible to protect them and ensure that they don’t disappear for good. This is exactly what the Coral Reef Alliance do. They not only take their own approaches to protecting coral reefs, but they also work with local communities, stakeholders and groups to raise understanding of the need to protect coral and the science behind why it is disappearing at such an alarming rate. The reason that we know as much as we do about the seas and oceans that surround us is all down to those adventurers who are more than happy to dive down and see what they can discover. Project Aware was set up by just such people, a global movement that was created by those who know the water the best, the divers. With their all encompassing passion for all things under the sea, it comes as no surprise that they are best placed to tackle some of the issues that surround marine conservation as well as raise awareness. Looking at more local shores, the Marine Conservation Society is a UK based marine charity. They are dedicated to protecting the costal areas of the UK and Ireland, making sure that these beautiful spots flourish. Not only for they take steps to combat pollution and rubbish from accumulating on the beaches, but they also want to protect the wildlife and ensure that there is not too many fish being removed from the seas. 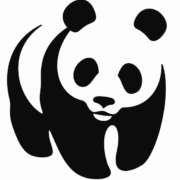 Whilst not strictly an ocean conservation organisation, the WWF is one of the most recognisable conservation organisations out there, which means that they are able to tackle a wide range of issues. All thanks to the support that they receive. The WWF has taken steps to protect the oceans and seas of the globe, something that is much needed and has been met with plenty of support. It doesn’t matter which organisation you choose to support, what matters is that you are taking steps towards making a change and protecting the world that we live in. Most importantly the oceans and the creatures that call them their home. https://3sixtyhome.co/wp-content/uploads/2018/10/WWF-Google-Search.png 574 613 admin https://3sixtyhome.co/wp-content/uploads/2018/12/sustainable-hotel-linens.png admin2018-11-17 10:28:502018-10-26 10:30:405 Best Ocean Conservation Organisations. Sea turtles are a fascinating marine animal and one that we really need to take major steps to protect. In order to inspire people to take steps to supporting those organisations that work within turtle welfare, there really should be more of an understanding of what makes sea turtles such an amazing creature. In order to help you to love sea turtles as much as we do, let’s take a look at some of the very best sea turtle facts. Whilst you may think that a sea turtle is just a sea turtle, in actual fact there are seven different species that all fall under the same bracket. These are: green, loggerhead, olive ridley, hawksbill, leatherback, kemp’s ridley and flatback. Unfortunately, six of these seven species of sea turtle are now threatened or endangered and this is all down to the actions of humans. There has been a 90% population decline in the leatherback species over the last 30 years and tens of thousands of turtles are killed each year due to overharvesting and illegal trade. 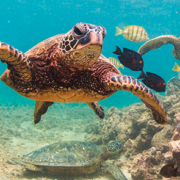 Other threats that are causing turtles to decline at a rapid rate include bycatch (when they are caught as a part of fishing practices for other species) habitat loss and also climate change. Sea turtles live in a variety of oceans around the world. From the warmest seas to the coldest ones. In fact, turtles live as far north as Alaska and as far south as Chile. Not only do they live in particular areas, but sea turtles will also travel huge distances in order to feed, which means that they can cover an entire ocean simply to look for food. A sea turtle will spend their entire lives at sea, however, a female will come ashore every 2 to 5 years in order to lay eggs. They will do this several times in the season and lay a number of eggs. After sixty days these eggs will hatch into baby sea turtles, or hatchlings as they are known and they will make their way down to the ocean from their nest, one of the most dangerous parts of their young lives. It is all too easy to assume that every sea turtle eats the same thing, but each species of sea turtle has a different diet. Green turtles will eat sea grasses, leatherbacks will feast on jellyfish and other soft-bodied animals. A loggerhead in comparison will eat animals with heavy shells such as clams and crabs, as do kemp’s ridley, whilst hawksbill turtles will eat sponges and invertebrates. As you can see, there is so much to love about sea turtles and that is why there is so much being done around the world to protect them. If you want to help these amazing marine creatures, then why not check out some of these organisations and see what you can do to help them? There is plenty of coverage in the media at the moment regarding the state that our oceans are currently in, which is great for raising awareness, however, despite this, there are so many of us who simply do not know what to do to make the change and protect our oceans. To help, we have put together our guide to the things that you can do to make sure that you take even the smallest steps towards protecting our oceans and making sure that the wildlife that call it their home have the best place to live possible. Whilst there are some more specific things that you can do to protect our oceans, the best place to start is to make some more overall changes to your carbon footprint. Leave the car at home once or twice a week, think about the energy that you use at home, take the stairs instead of the lift. All things to keep in mind, that can have a huge impact on the world as a whole. There is nothing wrong with enjoying fish and other creatures that come from the sea, however, when it comes to eating seafood and fish, you need to try and make sustainable choices. Think about where the food that you are eating has come from, make sure that they are not over exploited or that they are caught in an inhumane way. 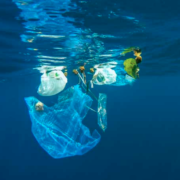 Plastic is one of the biggest threats to our oceans and the plastics that end up in the sea is currently killing tens of thousands of different marine animals every year. It is vital that we take steps to reducing the amount of plastic that we use, and that ends up in a landfill. You can do this by opting for a reusable water bottles, using reusable carrier bags and making sure that you recycle as much plastic as you possibly can. Sitting on the golden sand and looking out over the ocean is so many people’s favourite view in the world. Imagine a beach and a sea that is covered in rubbish, not such a lovely view is it? This is the exact issue that is happening on beaches around the world at the moment. People are surfing, eating or simply hanging out at the beach and, when they leave they are leaving their rubbish behind. This builds up and is causing a huge problem. The thing that we can all do is make sure that we clean up after ourselves when we visit the beach, or take it one step further and sign up for local beach clean-ups which will also help to keep our beaches clean. We all play a part in protecting our oceans. So, make sure that you take the steps to keeping them looking perfect by trying out one of the above steps for yourself. You may be surprised by just how easy and effective they can be.